So, this 雞飯醬 is like the chicken oil for cooking the rice ?? very convenience wor ~~ I just had hoinan chicken rice for lunch yesterday ~~ their rice is more darker in colour (like adding soya sauce).....I just think your 雞飯醬 would result in rice of that colour g ma ~~ Thankx. Actually, I didn't see this paste in HK ar ~~ donno if I can find it nei. I haven't tried to make hoi nam chicken rice at home because I didn't know what to add to cook the rice.......I only know for those @ restaurants, they used the stock resulted from cooking the chicken to cook the rice ja. Can you make a better close-up for the paste ma ?? Thank you. [版主回覆09/26/2008 16:32:00]there you go~ i guess you may get it (or some other brands) in thai / malaysian food shops! 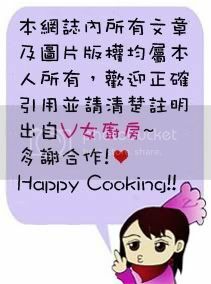 some people says Wing On sells chicken rice paste as well~ maybe you can try! 依樽? 依個係洗完米用來撈米，放入飯煲後煮熟就變成油飯~ 唔洗用雞湯 + 香茅等材料煮油飯! [版主回覆12/23/2008 21:59:00]用來點雞既辣椒醬我自己整架! (食譜裡面有做法) 我唔知辣椒醬有冇得賣喎! 我住喺英國架~ 基本上依度有好多野都冇得賣...... 香港就或者會有既! Mr.T & Mrs.T's New "T-Shirts"